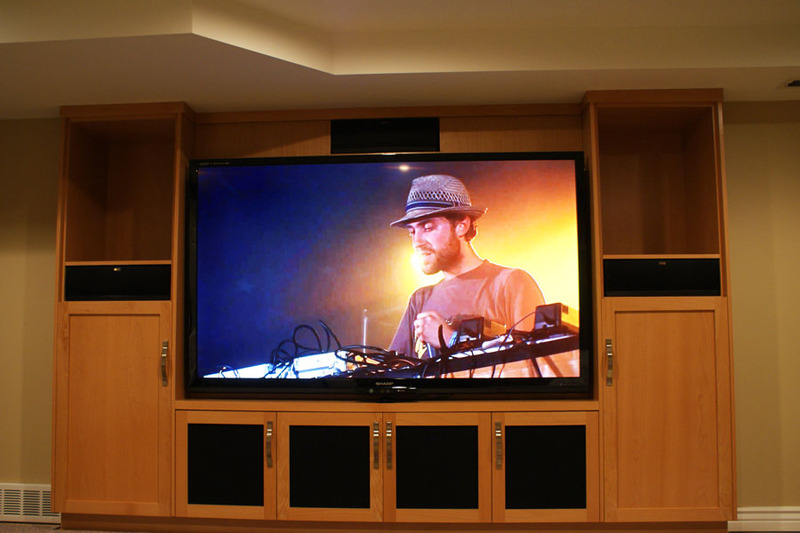 Mike had this great looking cabinetry designed around 3 of Klipsch’s Reference II center speakers and a giant 80″ LED TV from Sharp. 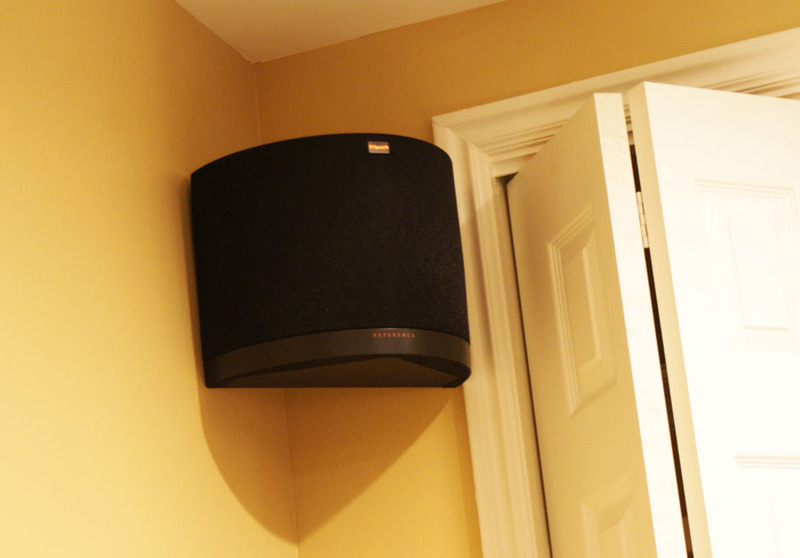 Two more Reference II Surround speakers are in the corners of the room and a 12″ Klipsch subwoofer is tucked neatly inside the cabinet. Also hidden behind those doors are a Pioneer Receiver & Blu-Ray player, Comcast cable box, Nintendo Wii and an Xbox Kinect. 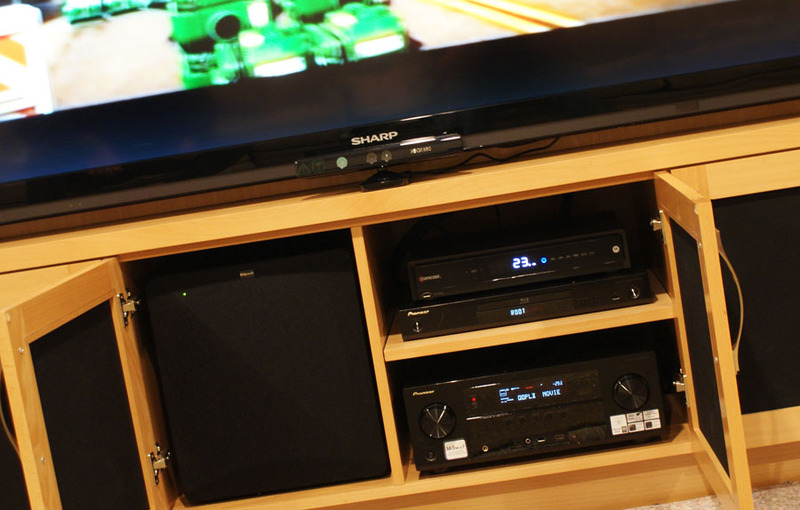 This system has clean and simple looks and amazing performance!